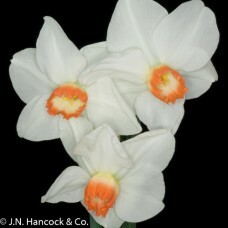 An extremely vigorous and easy care group of daffodils. 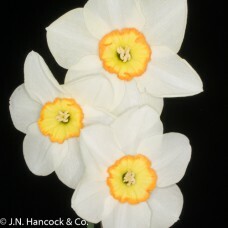 They are often fragrant, tend to be later flowering and are favoured by show exhibitors. 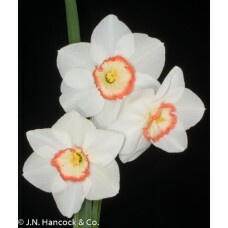 Unique, eye-catching exhibition flower; the open cream cup is edged with a wide band of vivid coral-.. 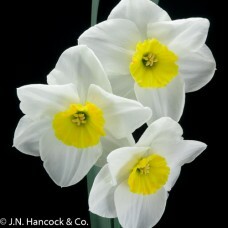 Striking flower; excellent rounded pure white petals; pretty soft-yellow open-cup has a wide, bright.. 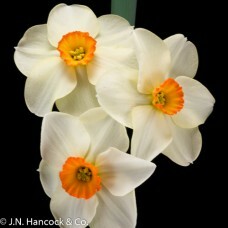 Contrasting small cupped bloom. 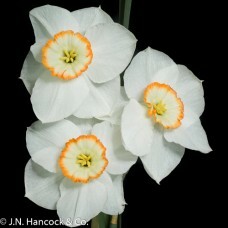 Nestled amongst the broad white petals is a yellow corona rimmed wit..
Small-cupped white petalled flower. 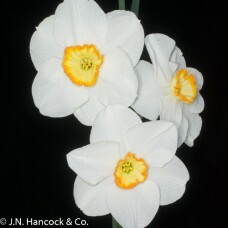 The bright-yellow corona has a frilly band of tangerine-orange. .. 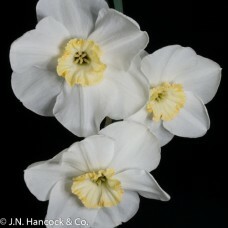 Delicately perfumed bloom; sparkling white petals and a flat white cup attractively edged with apric.. 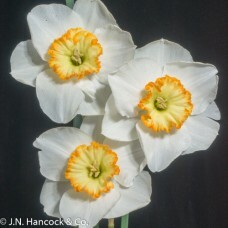 Impressive large flower with an open contrasting crown. 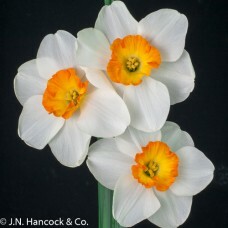 Wide white petals enclose an orange small cu..
An appealing, attractive flower with ice-white broad petals. 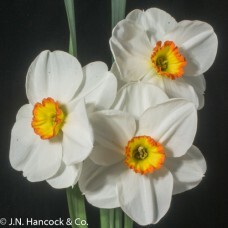 Small cup of yellow with a bright-orang..
A very striking bloom with an intense red-pink pleated goblet cup and a contrasting creamy-yellow ba..
A beautifully formed flower; large, pure-white petals with a ribbed, frilled, small funnel-shaped tr..
Large show bloom of heavy substance, broad overlapping pure-white petals with a yellow small cup ban..
An inspiring and refreshing large bloom. 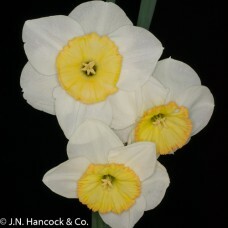 The glistening white petals frame the open, primrose-yellow.. 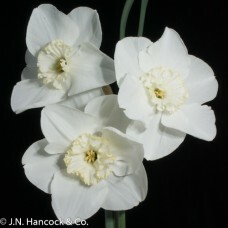 Unique small-cupped smooth flower. 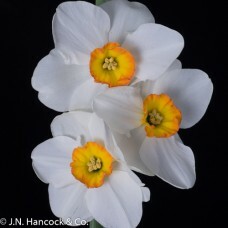 The broad white spreading petals surround a small flattened cup o..
Eye-catching perfumed bloom with pure-white petals and a lemon-yellow small cup with a serrated edge..
Eye-catching show bloom with broad creamy-white petals. 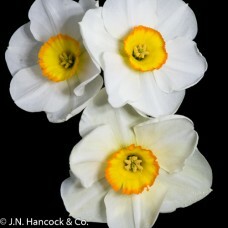 The bowl-shaped cup opens cherry-red and mat..